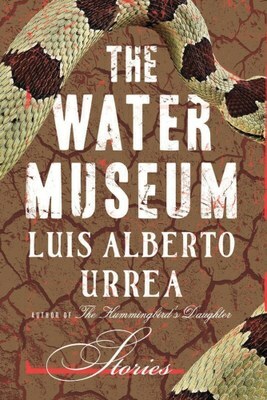 Review of ‘The Water Museum’ by Luis Alberto Urrea. Little, Brown and Company, 2015. The stories in The Water Museum stretch from South Dakota to California — from divorced Ivy League professors to illegal immigrants — but all of them share a peculiar loneliness. And though in many cases that isolation is buttressed by a stark Western landscape, it is rooted in the insecurities and restless minds of the stories’ protagonists. A Chicano graffiti artist slips into reverie after finding strands of long blonde hair stuck to the windshield of a scrapyard vehicle. An Oglala Sioux encounters a white man passed out on the hood of his Volvo on a country road in Wyoming. A widower struggles to follow his minister’s advice and “bend like a reed in the wind,” even as he finds himself deeply agitated by the influx of immigrants in his community. All of these characters are cut off from the world, lost in their own psychic territory, stumbling in their search for a way back home.